Join us for a special morning of worship and a potluck lunch as we give thanks to God for all He has done in and through the people of Gloria Dei this past year. 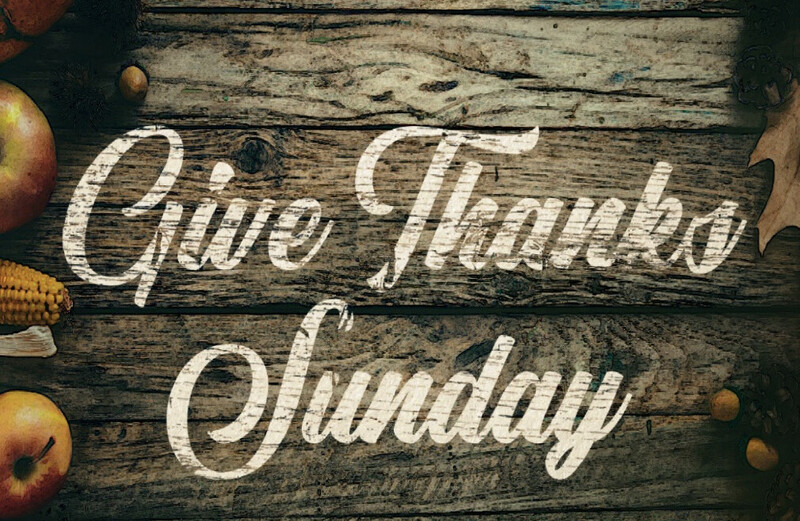 We will have one worship service at 10am, immediately followed by a potluck luncheon. Signup to bring a dish for the potluck lunch HERE. Please note: KidzLand (6 weeks-kindergarten) will be open during the worship service, but KidzSpace and Student environments will be closed. We are a group of people committed to helping more people live life with Jesus every day, and we would love for you to join us this Sunday to experience it for yourself.